LA CITTADELLA DEL VINO The winecellar boasts a modern style of architecture, perfectly integrated with the surrounding environment. The design of its roof recalls the "ondulating" pattern which the typical "Trentino Pergolas" used in our vineyards give to the area. 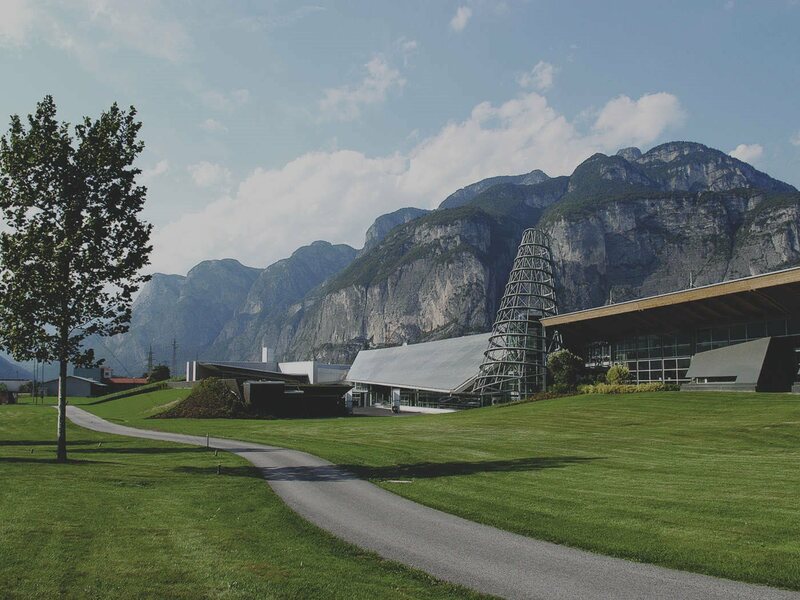 Our headquarters lie in the heart of The Dolomites: come to see and find out about our winemaking world. See where nature, technology, passion and innovation merge together in order to give life to products which are in harmony with our environment and reflect this unique land. 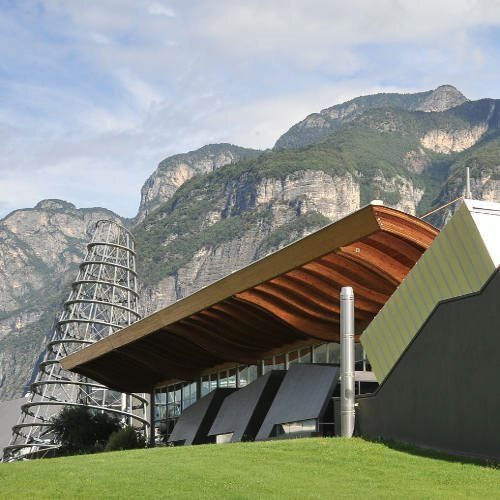 The winecellar, called "Cittadella del Vino" boasts a modern style of architecture, the design of its roof recalls the "ondulating" pattern which the typical "Trentino Pergolas" used in our vineyards give to the area. This architecture is charming and adheres respectfully to the surrounding environment,that of the Piana Rotaliana. 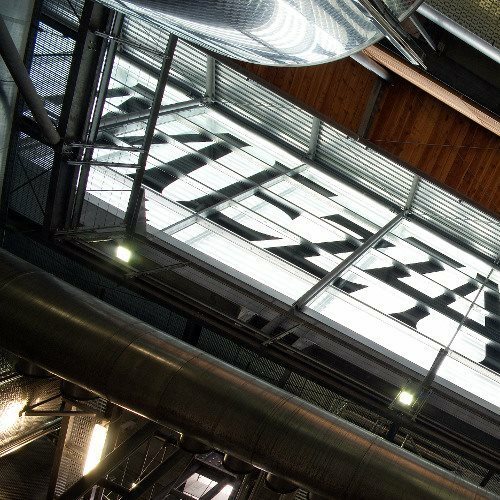 The jewel in the crown for the Mezzacorona Group. 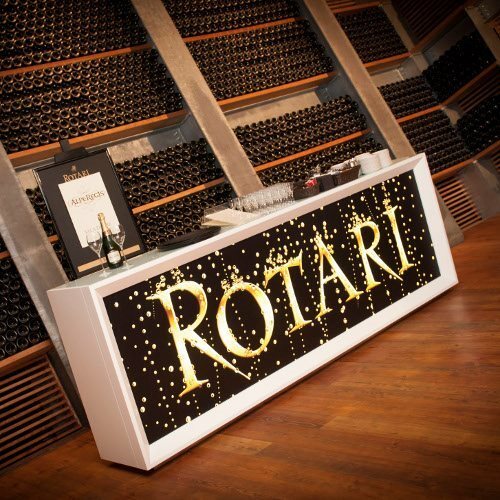 This Rotari winecellar is one of the most important and renowned structures in Italy for the production of sparkling wine using "Metodo Classico". Boasting the most modern of winemaking technology, this wine cellar harvests and makes wine from grapes grown with great care and experience by our Mezzacorona winegrowings Unique and special wines, each one being an authentic expression ofTrentino.